When first entering the city of Aberdeen, southwest of Seattle, one would notice the “Welcome to Aberdeen” sign with the phrase “Come As You Are” just beneath it. As many millennials recall, that was the name of one of the most iconic songs of the 1990’s by rock band Nirvana. Nirvana is known by almost everyone in North America and many around the world, but what people probably don’t know is that the famous rock band started in a small garage in the city of Aberdeen, Washington. While populating just around 17,000 people, the city represents a very proud and strong community. 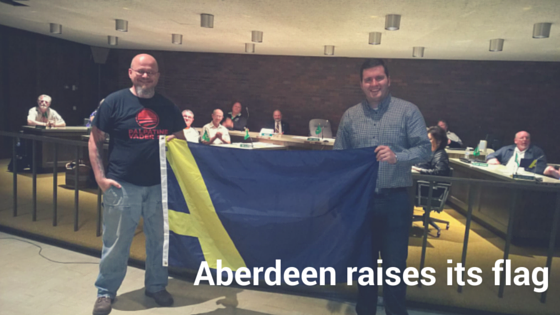 Aberdeen had many things but they lacked one important thing… a flag. One of the city residents, John Barclay, wanted to change that. 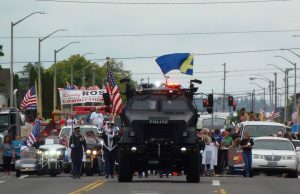 “In 2013 I was trying to get contract work with a city next to mine and noticed that they had a flag… I approached my city council and broached the subject,” he said. Barclay’s suggestion was met with a lot of joy. “One Council of the 12 [city council members] at that time liked the idea enough to offer her sewing skills,” he added. Barclay needed to turn his dream into reality, and that was when he decided to call The Flag Shop. The people of Aberdeen wanted a flag, Barclay was going to design it, and The Flag Shop made it happen. 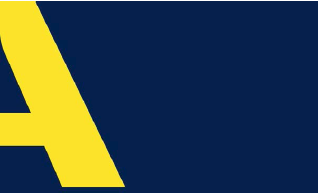 The flag design looks like a split golden letter “A” with a navy blue background. Despite its simple look, the flag carries a lot of meaning. When it first came out, the people of Aberdeen loved it. 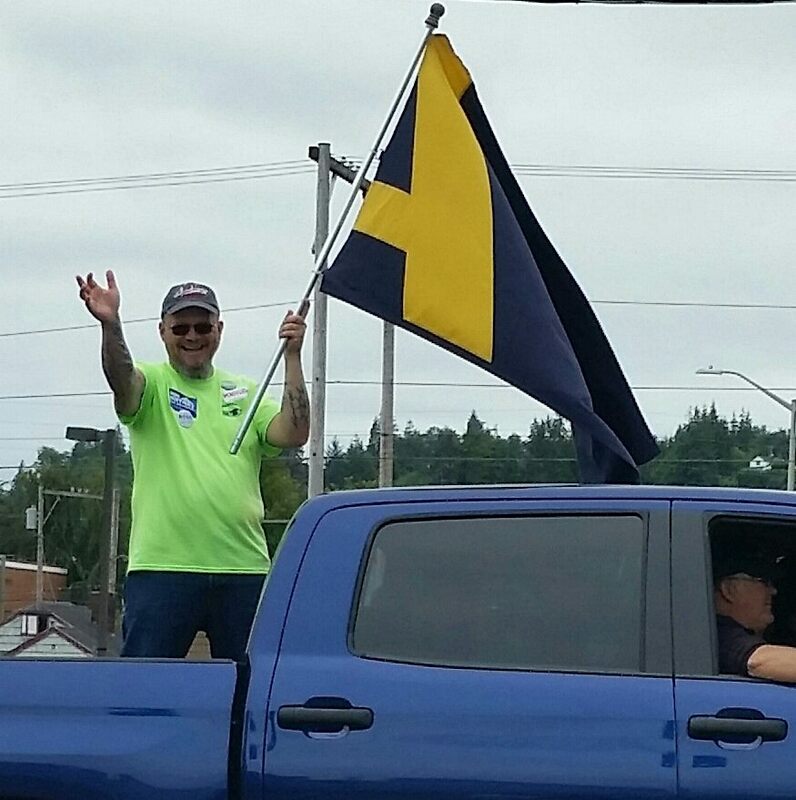 “At the parade where I passed out the paper flags everyone went crazy in love,” described Barclay. This was a story about a flag that could possibly hold the colours that Aberdonians will identify themselves with for generations to come, and we were part of it. At the Flag Shop we simply love making history. You are currently browsing the The Flag Shop Blog blog archives for July, 2016.